Smashwords is an ebook publishing and distribution platform for ebook authors, publishers and readers. They offer multi-format, DRM-free ebooks, ready for immediate sampling and purchase, and readable on any e-reading device. At Smashwords, the authors and publishers have complete control over the sampling, pricing and marketing of their written works, and bill themselves as the world’s largest distributor of indie books. For readers, Smashwords provides an opportunity to discover new voices in all categories and genres of the written word. Once you register (for free), the site offers useful tools for search, discovery and personal library-building, and each week they add new features based on feedback from members. 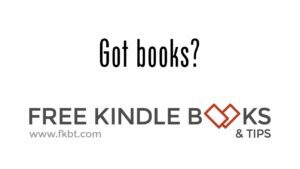 Follow the links for the free book section, which as I type up this post has almost 65,000 free books in the Kindle format – sometimes a whole heck of a lot more – books for free in many eBook formats, including your Kindle. To check it out, just click here. You can read them on your computer, or transfer them to your Kindle. If you download a Kindle book from the site, you will need to transfer it to your computer to your Kindle. That’s a fairly easy process. If you don’t know how to do that, you can click here or type in http://smarturl.it/xfer into your web browser to read my guide on how to transfer content to your computer. This is the same guide I charge 99 cents for in the Amazon Kindle store, but clicking the above link will allow you to read it for free.